Practical Nurses play a vital role in the healthcare industry. They promote, maintain, and restore patients’ health in a variety of healthcare environments, including nursing homes, physicians’ offices, assisted living facilities, home healthcare settings, clinics, and rehabilitation centers. LPNs’ compassionate approach to patient care is a critical component of the hands-on interaction they provide. Their basic duties include monitoring patients’ health by checking vital signs, collecting specimens, maintaining patient health records, administering wound care and inserting catheters, and reporting details of patients’ medical status to physicians and registered nurses. At long-term care facilities, experienced LPNs may supervise CNAs and other unlicensed staff. The New Jersey Board of Nursing licenses practical nurses and regulates the nursing profession to protect the health, safety, and welfare of New Jersey residents. Licensed Practical Nurses must understand the scientific principles necessary to provide safe and effective care to patients. The practical nursing program provides students with the concepts and skills that prepare them to assist patients with the activities of daily living, collect data, evaluate patients’ needs, administer medications, and monitor IV therapy. The rigorous curriculum includes classroom, laboratory, and clinical experience at a licensed facility. Common topics include pharmacology, nutrition, anatomy and physiology, microbiology, growth and development, medical-surgical nursing, obstetrical nursing, pediatric nursing, contemporary health issues, fundamentals of nursing, issues and trends in nursing. More than just preparation for success on the state board exam, students earn a strong foundation in the theory and techniques of clinical nursing, hands-on learning in a simulated lab before practicing in a real-world clinical environment, and valuable practical experience through supervised clinical practice in health care facilities. The program should meet the requirements of the New Jersey Board of Nursing. Only graduates of approved nursing education programs will be eligible to take the NCLEX-PN. To qualify for enrollment, you must be 18 years of older with a high school diploma or GED equivalent. Attend the school’s orientation session to find out about the program’s requirements and expectations, and enroll in the program. The information session will also provide a schedule and details for a pre-admissions exam. The profession demands heavy lifting, standing and bending, so students must be able to lift at least 40 pounds unaided and be in good physical and mental health. Students may be required to obtain TB clearance, immunization, and a physical exam before final admission to the program. State regulations may disqualify you from obtaining professional certification to practice based on the results of your health or criminal records check. Students will need to provide authorization for the school’s administrators to conduct a criminal background check prior to participation in the clinical rotation. CPR and malpractice insurance are some other requirements for entry. Students must pay for the cost of the health and criminal background check requirements. LPN programs have a strict attendance requirement for classroom and clinical sessions. Absenteeism will result in course failure. Practical nursing graduates are eligible to take the NCLEX-PN licensure examination. Passing this exam is the final step to becoming a Licensed Practical Nurse. Duration and Cost of Training: The average cost of training in New jersey is $8,500 for full-time attendance. The duration of the course, based on full-time attendance, is 12 to 14 months. Part-time training is approximately 22 months. Other expenses include the cost of physical exam, criminal background check, malpractice insurance, uniforms, textbooks, supplies, NJ state licensure, graduation fees, fingerprinting, and NCLEX test fees. Prerequisite training requirements and repeating failed courses will increase the total cost of attendance. Financial aid is available for qualifying students. After graduation from an accredited nursing program, LPNs must pass the NCLEX-PN for state licensure. The practical nursing program will prepare students for success on the licensing exam – check the school’s NCLEX-PN pass rate before you enroll to increase your chances of success. Graduate students should register for the exam soon after completing the program. Pearson Vue, the testing agency, facilitates easy registration and payment of the $200 fee online or by phone (1.866.496.2539). The registration is not complete without the payment and goes hand-in-hand with the application for licensure to the Board. The Board of Nursing must determine your eligibility to take the exam; Pearson Vue will send the Authorization to Test to your email address with the Board’s approval. Expect to receive the ATT within 2 to 10 business days of submitting a completed application to the Board. The ATT is essential for scheduling your exam. It contains your candidate ID, authorization number, validity dates, and your candidate information submitted during registration. Check the information to ensure that it matches the information on your ID – this is essential for entering the center on the scheduled exam date. The validity dates are approximately 90 days from the issue of the ATT. If you do not take the test before the ATT expires, you must re-register and pay another registration fee. The Board will issue the license within 10 business days of your successful passage of the exam provided that you meet all other eligibility requirements. Pearson Vue offers the Quick Results Service for candidates who would like to receive results sooner than the Board makes them available. The unofficial results are available within 2 business days for an additional fee of $7.95 billed to your credit card after the results are available. Candidates must still wait for confirmation from the Board to begin practicing. If you were unsuccessful, you would receive a candidate performance report and an application packet to re-apply for licensure. You must also submit another registration and fee to Pearson Vue. You can retake the exam any time after 45 days of your previous attempt. The practice of nursing as a Licensed Practical Nurse requires licensure. To qualify for licensure from the Board of Nursing, applicants must have a good moral character, be at least 18 years of age, possess a high school diploma, complete the education requirements, and meet the examination requirements. Applications should be submitted on a board-approved form with the appropriate fee made out to the Board of Nursing. New Jersey does not issue a temporary permit. The Board of Nursing makes every effort to process applications in a timely manner – as long as applicants submit all the requested information. LPNs have a responsibility to keep current on the laws pertaining to the practice of nursing. Submit an application form completed in type or black or blue ink. Provide answers to all questions and include your original signature where indicated. Processing of your application will be delayed if you fail to answer all questions. Candidates can choose from online or paper submissions. An official completed application for Licensure by Examination Your signature on the form must be notarized by a Notary Public. The licensure fee of $200. Make checks payable to the New Jersey Board of Nursing. The licensure certificate fee ($120) is refundable if you do not qualify for licensure. A clear, full-face passport photo (2” x 2”) revealing your head and shoulders. Photo must be no more than 6 months old. A completed Certification and Authorization form. An official letter of program completion sent directly from the nursing education program to the Board of Nursing. An official transcript sent directly to the Board of Nursing if you graduated from an out-of-state program. Completed fingerprint cards. The Board will provide instructions for fingerprinting after you submit a completed application and the Certification and Authorization Form. The fee for digital fingerprinting is $67.20. A letter giving a complete detailed explanation of each “yes” response to the criminal history/ disciplinary action questions. Include copies of court records including a Certificate of Conviction. The request for reasonable testing accommodations for persons with disabilities and appropriate documentation to support your request. Your registration for the NCLEX. Registration is available on the web and by phone. Foreign-educated applicants must have their credentials verified by the Commission on Graduates of Foreign Nursing Schools (CGFNS). The CGFNS must send the Credentials Evaluation Service (CES) Professional Report directly to the Board of Nursing for evaluation. The Board will advise you in writing if you’re eligible to take the licensure exam. Incomplete applications that remain inactive for more than six months will be destroyed. LPNs, who hold a current license in another state or territory, may submit an application for licensure by endorsement. An official completed application for Licensure by Endorsement Your signature on the form must be notarized by a Notary Public. Completed fingerprint cards. The Board will send details for digital fingerprinting to New Jersey residents. If you live outside New Jersey, you should request fingerprint cards through the Board’s website, complete the Morpho Trust universal form and two fingerprint cards, and send the cards and payment ($61.44) to Morpho Trust. Verification of licensure in another state. Use the NCSBN’s Nursys verification service if the licensing state participates or the Licensure Verification form if the state does not participate. The licensing agency should complete the form and submit directly to the Office of Professions. 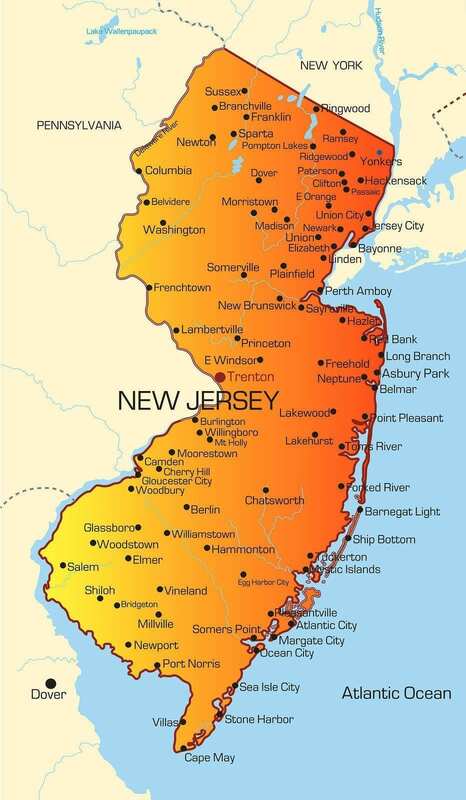 New Jersey LPN licenses expire biennially. The Board will mail a renewal reminder postcard, to your last known address, approximately three months before the license expires. You may renew your application online and pay the $120 license renewal fee using an American Express, Discover, Visa or MasterCard. Licensees must complete at least 30 hours of continuing education within the two-year period to renew their licenses. The 6.5% unemployment rate in New Jersey has very little impact on the healthcare industry. According to the Department of Labor, the healthcare sector is the only industry that consistently adds jobs yearly. Nationally, there has been a 25% growth in LPN jobs – the BLS predicts continued growth until 2020. Employment opportunities for LPNs are available primarily in long-term care facilities, nursing homes, and assisted living facilities. In hospitals, administrators are shifting towards RNs with Baccalaureate degrees and higher. 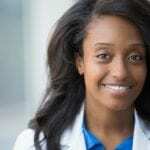 As the population’s healthcare needs grow, so too will the need for qualified nursing professionals. There were 15,650 LPNs employed in New Jersey in May 2014. More than 65% of practicing nurses work in nursing homes, 15% in home health care, 10% in hospitals, and the rest work in physicians’ offices, correctional facilities, insurance agencies, schools, and other non-traditional areas. New Jersey LPNs earned an average yearly salary of $52,150. When I was in the program it was free. All you needed to pay for was uniforms and books. It was free for me too!!! All i paid was for the state board test. Extinct,thats a pretty strong statement! Just encourage people to continue in nursing education. It’s discouraging and actually an outright lie. I am currently in an LPN program and paying $32 thousands for the year. Yes, I would love to become an RN but for now, I am happy pursing my LPN license… LPN are not extinct most LTC facilities still hires lots of LPN. I have been a CNA for a while and people always look down on CNA, now trying to become a LPN and it seems like the RN’s are doing the same thing… We all need to empower each other, instead of acting as if we are better than the other because there is RN in from of their name…. I am suprised about how much the LPN program costs you. At my local votech, I believe the cost is just 10,000 or 12,000 for the program, not including uniform and books. Where are you taking this course? I wish you luck with it. I enjoy being an LPN. Don’t let anyone discourage you. LPN’s are not and will not be a thing of the past. There are lots of career avenues for the LPN. What these RN’s are referring to is the requirement to work in most NJ hospitals. But even they would need a BSN as well. However, what they fail to realize is that not every nurse wishes to work in a hospital. Just be mindful not to mistreat your CNA’s with the same condescending attitude as some RN’s will give to you. It’s really sad and pathetic how some walk around with such a chip on their shoulders… but that’s what a world of unnecessary debt does to a person. Are you a current student or former student? Ladies I thank you all. I’m going to go to Best Care next week and see what is required. I just may go back to ECC to finish. Damn i just finished and waiting to take my state boards. do you make decent money?? I have been an LPN for 14 yrs. The best decision I have ever made. A start is a progress, doing LPN. I have bee a LPN for 14 years now. They been saying they were getting rid of LPN’s for years. Thinking about doing my RN online. I am sick of nursing homes. I have been an lpn for 11years now and the same school that charged me 4300 is now charging 18,000. My friend paid 26,000 at another. I would have to say while Lpns r not extinct I would not pay that much to become one now I would go straight for my RN even if it was just an associates. If I am going to spend that much I would have the title RN behind my name. I make good money as an LPN and I don’t work in a LTC facility! Doctors office AND pediatric home care nurse! Im an LPN also, I like many others, wrk in a nursing home facility. It was just about a year ago, we, the lpns in facility, were told that after 2017, they wouldn’t be needing us anymore, so its either we go back to school or be ready to leave. I say that to say… though you may wrk in a facility that’s accepting lpns presently, you never kno what tomorrow will bring just be prepared at anytime for change. As for me, i dont want to be an lpn for the rest of my career, so def I’m going back to get that RN…. when im ready tho…. i would also encourage others to just go get the rn straight, it pays more and opportunities are by far more! How i get LPN class for free?